Childbirth classes can help you have the best pregnancy, birth and early parenting experiences! Lamaze is no longer just about breathing. It’s about taking the mystery out of childbirth and giving you the confidence to labor your way. By taking a childbirth class, you’re making a good investment in you and your baby. What happens in a Childbirth Class? Sarah’s classes are interactive and informative. 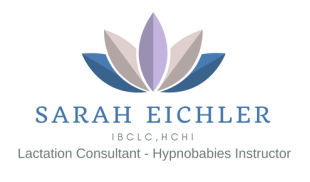 Sarah will thoroughly explain the changes your body will go through and what you can expect during pregnancy, birth and beyond. Understand what you can do to benefit you and your baby during the childbirth process. Learn strategies to manage pain. Discover how to more effectively work with your care provider so that together, you can make decisions you feel good about. Skin on skin , why? The Lamaze healthy birth practices are supported by research studies that examine the benefits and risks of maternity care practices. These practices represent the best things a mother can do to ensure positive, healthy birth outcomes for both she and her baby.